Portrait of a young woman with evening make-up. 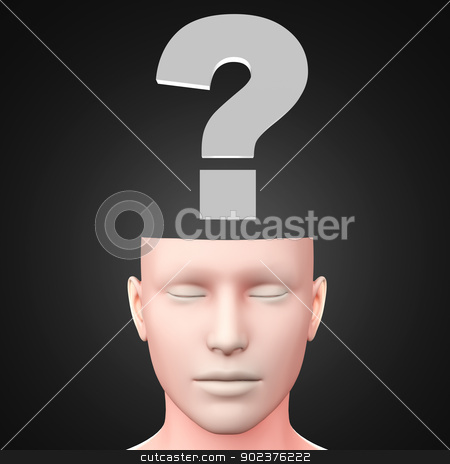 A generic questioning person. Question mark in the head. 3D rendered Illustration.